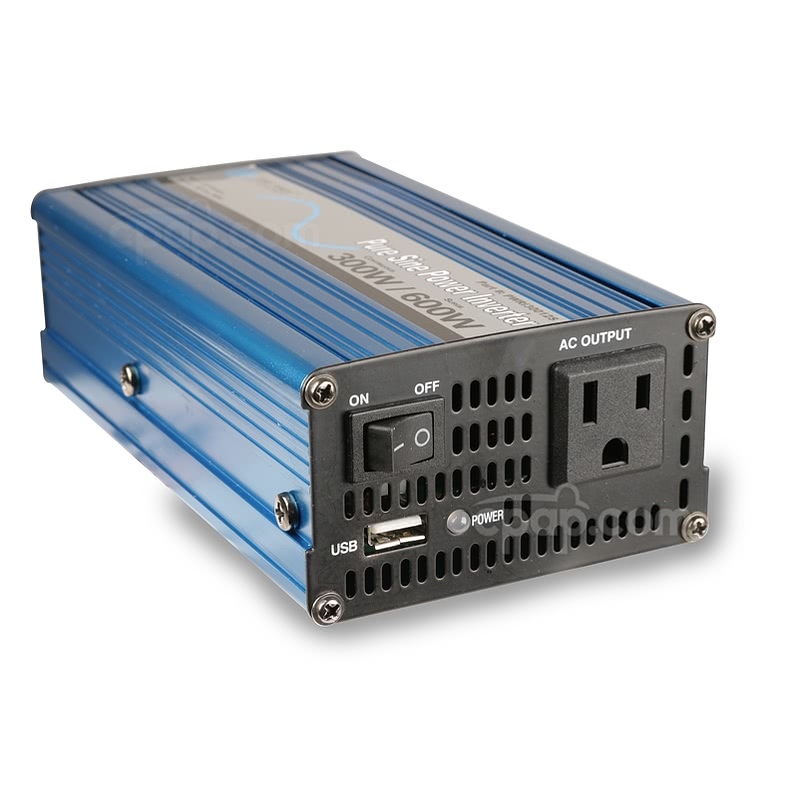 " Used the inverter this past weekend with my cpap machine on a camping trip, it worked out great. I finally got a great nite sleep out camping. " 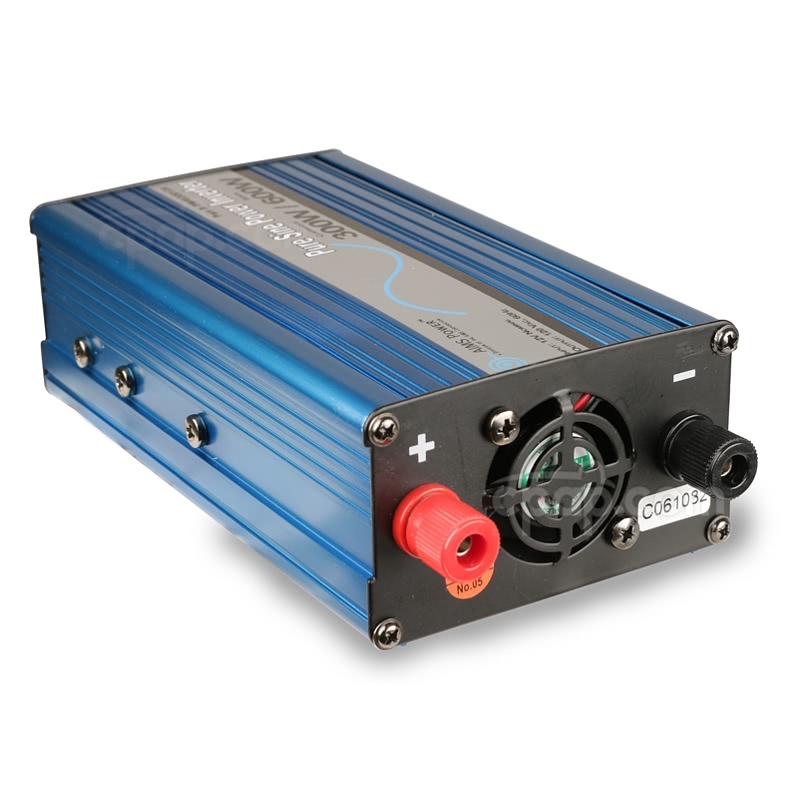 The DC to AC Pure Sine Wave Power Inverter Second Gen is an inverter for use with the S7 and S8 Series machines and humidifier by ResMed. When using an attached humidifier, the S7 and S8 series machines require the use of pure sine wave power obtained through this inverter. 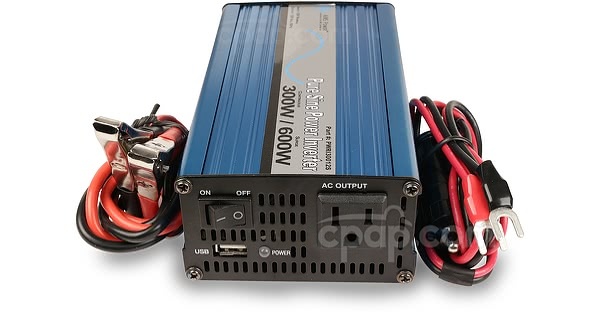 This inverter is able to convert DC power to AC power with controlled dips and peaks in power. Other inverters do not control these dips and peaks, making the machine and humidifier susceptible to power related damage. 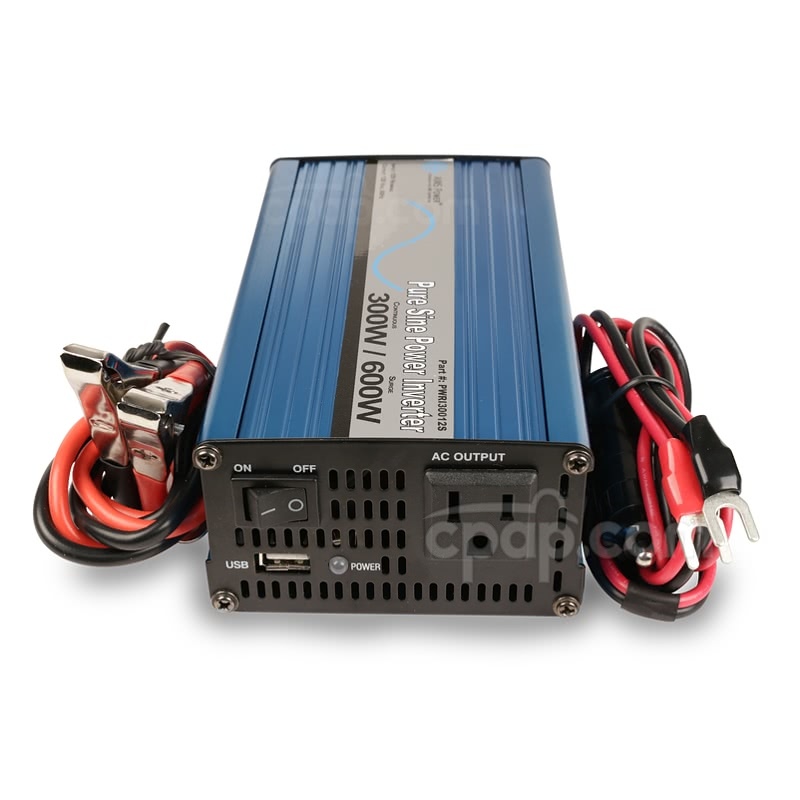 To obtain this type of the power, this inverter must be used when connected to a DC power source. If connecting a S8 machine to a DC source without the humidifier, the DC-12 Converter For S8 Machines may be used. Former Version: This is an updated, slimmer version with only one AC outlet. The former version was larger and had two AC outlets, however it is no longer available. To view product information and reviews for the former version, click here. Intelligent Cooling: The fan begins to blow with a load power larger than 100W. When there is no load power, or it is smaller than 100W, the fan will not work. Cable Sizing Requirements: Cables Included // Do not plug into cigarette lighter if load is more than 100 W.
Battery Run Time: Please note that this inverter, along with all inverters, require power to run, and therefore will reduce the run time of the battery by half. Compatible Batteries: This inverter will not work with the CPAP.com battery kit. Please visit our Power Solutions Page to view other DC sources.